FORBES, Sir FRANCIS, judge; b. 1784, probably in St George, Bermuda, son of Dr Francis Forbes and Mary Tucker; m. 1813 Amelia Sophia Grant of Kingston, Jamaica, and they had three sons; d. 8 Nov. 1841 in Newtown (Sydney, Australia). In 1803 young Forbes went to London to study law, and he was called to the bar of Lincoln’s Inn in April 1812. 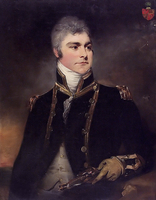 In March 1811 he had received the appointment of attorney general of Bermuda; two years later he was also made king’s advocate in the Vice-Admiralty Court at St George, where he was “comfortably” residing with his wife. His performance in these offices was so impressive that on 24 Aug. 1816 he was appointed chief justice in the Supreme Court of Judicature in Newfoundland, succeeding Cæsar Colclough*. He was sworn in by the surrogate David Buchan in St John’s on 15 July 1817. One of his first official acts was to survey the convicts in the primitive jail and make recommendations for clemency to Governor Francis Pickmore*. As there had been no chief justice in the island for 18 months, prisoners who were serving time for crimes such as larceny and perjury had endured long sentences without review. Forbes’s letter on the occasion is noteworthy for its compassion and concern for justice. In 1817 Newfoundland still lacked any form of elective government; yet a reform movement had begun in St John’s, a vigorous press had sprung up, debate had started about the future prospects of the island, and a resident middle class of professionals and merchants had emerged to assert its influence in the changing society. The collapse of the fishing economy at the end of the Napoleonic Wars, together with a series of disastrous fires in St John’s in 1816–19 (in one of which Forbes saw his court-house destroyed), added to the uncertainty and restiveness of the times. British authorities responded to the pressure for change by granting the island a year-round governor in 1817, yet did not choose to alter the paternalistic way he governed. But though its political system remained primitive, Newfoundland did have an elaborate and statutory judicial system, comprising courts of session, surrogate courts, a vice-admiralty court, and a supreme court. In addition, the venerable English institution of the grand jury, regarded by Forbes as “the only lawful public Body in the Island,” was also a potent force. In the absence of a legislature, the Supreme Court in particular was looked to by reformers as a means of asserting constitutional rights and of curbing executive power. Thus Forbes served as chief justice at a time when, as he well knew, there was intense public interest in his decisions and in his conduct of court business. “The eyes of the country are upon us,” he said in court in 1821, while correcting a decision made by two magistrates. In December 1817 Pickmore reported that the pressure of business in the Supreme Court was “unprecedented,” but that an “able” Forbes was conducting it with “application” and “dispatch.” In fact, Forbes seemed to enjoy the simplicity and quickness that had come to characterize the court’s proceedings. “Such is the despatch with which causes are tried,” he noted, “that it is not an infrequent occurrence for a suit to be heard and determined in the Court, the same day on which it arose.” There being no “privileged practitioners” at the bar, every suitor pleaded his cause personally or through an amicus curiae. The judge then decided summarily upon the merits of the case, or referred it to a jury, if one had been requested. The new chief justice apparently placed little stock in “settled formality” and thought that “there are so many solid advantages arising from a cheap and ready access to the fountain head of justice, that few who have experienced the practical benefits, would consent to forego them, from any imaginary fear of encouraging a spirit of litigation.” It was not long before his lenient approach drew criticism from Pickmore’s successor Sir Charles Hamilton. 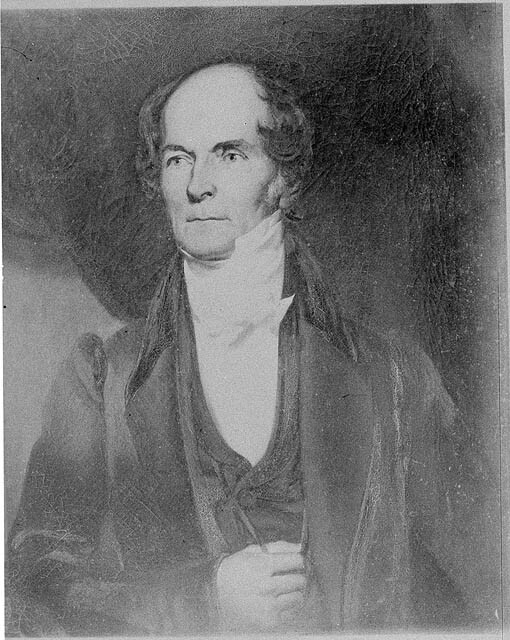 While Forbes’s earliest civil cases show a concern to recognize the legal status of special customs in the local trade and fishery, he also asserted that English laws were “a common fund, from which the Colony may draw as often and as largely as its exigences may require.” This was one of his guiding principles on the bench, a principle strengthened by a clause in the 1809 legislation relating to courts in Newfoundland, where it was specified that the Supreme Court should deal with civil cases “according to the law of England, as far as the same can be applied to Suits and Complaints” arising on the island. Thus the years 1817–22 saw the testing of many of the assumptions, regulations, and informal structures that had grown up in the colony – in sum, “the peculiarity of the local government,” as Forbes phrased it – against the principles of the English law and constitution. It was not, indeed, the first time that these local practices had been so tested, for British crown lawyers especially had already played an important role in limiting the powers of the governor. But it was to be from Forbes that the old system would receive its most determined judicial assault. One of his first decisions to create embarrassment for Hamilton related to the payment of the Greenwich Hospital duty, a traditional levy of 6d. per month on fishermen and seamen. In the harsh post-war economic conditions, this fee proved difficult to collect, and Hamilton directed his officials to proceed by attachment against non-payers. The issue reached the Supreme Court in November 1818 in the case of Le Geyt v. Miller, Fergus & Co. Forbes ruled that the dues could not be applied, as they had been in this case, to sharemen upon whose fish the supplier had a lien, until the lien had been satisfied. He also cast doubts upon the applicability to Newfoundland fishermen of the acts of parliament relating to the duty. In a long letter of complaint following the judgement, Hamilton noted to the commissioners concerned that a new act was needed making the fishermen “expressly liable to the duty.” His authority had in effect been checked by the court, a proceeding that a vigilant populace could not help but notice. Soon afterwards the high sheriff, John Bland*, found himself in Forbes’s court charged with forcible entry into a building that had been used by citizens to house a fire-engine. In taking down the building, Bland had been acting on Hamilton’s orders. In Hoyles v. Bland (April 1819) Forbes informed the jury that it could only find for the defendant, since the house in question had been built on an ancient fishing ship’s room and so was “incapable of private appropriation.” Yet he stated pointedly that if Bland entered property where the crown did not have title, “he is a Trespasser, however high the orders under which he may act”; further, even supposing the crown had title, if Bland entered “with force and without the solemnity of lawful proceeding, he is liable to a criminal prosecution.” The episode involving the fire house caused a considerable stir in St John’s. Forbes’s comments in the Hoyles–Bland case reflected his concern over land tenure in Newfoundland. Though the inhabitants of the island now functioned in many respects as normal proprietors, legal title to land was still uncertain. In Williams v. Williams (February 1818) Forbes implied that ownership of property did not exist in the colony. “The common law of descent does not apply to property in the soil of Newfoundland,” he stated. Another point of difference between Forbes and Hamilton concerned the relationship of the Supreme Court to the other courts in the island. From his arrival Forbes treated the Supreme Court as an appeal court over all other tribunals, and he was by no means disinclined to overturn or alter judgements given in lower courts, except when they were based on the decisions of juries. He was especially wary of decisions made in the surrogate courts, which were often presided over by captains of the king’s ships. “I have always been anxious to correct any errors or misapprehensions by reversing the judgment of the Surrogate Court,” he noted in Roberts v. Simpson (December 1817). Similarly, in Hutton, McLea & Co. v. Kelly (February 1818), he set aside a decision of a sessions court with the reminder that “if an inferior Court exceed its jurisdiction, and an injury is occasioned thereby, the party has a right of action against its members.” By 1819 Hamilton was so worried about the number of appeals against judgements in the lower courts that he asked Bathurst to have the crown lawyers clarify the appellate function of the Supreme Court; they did so in September 1820, entirely to his satisfaction, arguing that this function of the court was extremely limited. However, Forbes wrote a cogently argued, dissenting opinion, and asked that it be sent back to the crown lawyers for consideration. Several of his most important cases sprang from errors made by the inferior courts. Jennings & Long v. Hunt & Beard (October 1820) was an action provoked by a decision in Sandwich Bay, Labrador, of surrogate Hercules Robinson, a ship’s captain who had enforced regulations for the salmon fishery proclaimed by Hamilton. The surrogate, Forbes noted, “had received the orders of his Commander-in-Chief, which he merely obeyed as a subordinate officer, without question as to their legal authority.” But Forbes affirmed that the governor had no legislative authority to issue his proclamation. The surrogate, he said, “mistook that for law which was not law, and so for that his judgment was erroneous.” This extraordinary opinion, obviously of general application, undermined in a single stroke the informal gubernatorial system of ruling Newfoundland. Hamilton was flabbergasted; yet even he, in 1822, conceded that “some local authority” would be of use. In yet another case that created a sensation in St John’s, Lundrigan v. Buchan & Leigh (November 1820), Forbes rebuked the surrogates David Buchan and the Reverend John Leigh* for sentencing fisherman James Lundrigan* to be whipped for contempt of court. It was not just the high sheriff, magistrates, surrogates, and governor who found their customary powers brought under review by Forbes; the military establishment too had its day in court. In John F. Trimingham & Co. v. Gaskin (August 1821) the practice of firing on vessels leaving the port of St John’s without passes from the governor was declared illegal, and the orders on which the action was based were said to be “founded in a misapprehension of the law.” The judgement against Gaskin, the gunner who had fired the shot, forced Hamilton to ask the commander of the British troops to desist from “firing to detain any vessels” until details of the case could be laid before authorities in London. But the law officers of the crown sided with Forbes. It was another striking example of arbitrary power being brought under the rule of law. Most of the “several thousand cases” of a civil nature that came before Forbes in his five years on the bench in Newfoundland centred, not on constitutional rights, but on insolvencies, fishermen’s wages, actions for debt, and similar economic issues. His difficulties in this area were compounded by outdated British legislation pertaining to the island, for conditions in the local economy were now changing rapidly. In Trustees of Crawford & Co. v. Cunningham, Bell & Co. (October 1817) Forbes complained that “Newfoundland has been considered as a mere fishery, and, by a political sort of fiction, every person in it is supposed to be either a fisherman or a supplier of fishermen.” Yet this view was “a great departure from the fact,” he noted, there being “a considerable Trade” from Newfoundland “independent of the Fishery.” Among his many other important cases relating to the fishery were Stuart & Rennie v. Walsh (January 1818), in which he ruled that it was legal to conduct a fishing voyage upon shares rather than wages, and Baine, Johnston & Co. v. Chambers (January 1819), in which he found against a merchant in the purchase of fish from a Trinity Bay fisherman who had been advanced supplies by another company. The relationship between the fisherman and supplying merchant, said Forbes, was “a system of credit founded in good faith; and it becomes the duty of the Court to cement this necessary confidence between the parties, and to guard it with vigilance from infraction by others.” The fisherman was not entitled to sell his product to any would-be purchaser who made an offer. Forbes’s concerns were thus not narrowly limited to the assertion of individual rights; he could take the side of merchants (and magistrates) if some broad community interest were threatened. In 1822–23 Forbes served as an adviser to the Colonial Office in London, and undoubtedly had a strong influence in shaping the new legislation for Newfoundland that was enacted in 1824. He argued cogently against the creation of a legislature citing, among other reasons, opposition of merchants, difficulties in internal communication and transportation, and the lack of evidence indicating that a House of Assembly, even if practicable, “would be at all useful to the island.” In view of certain of his decisions on the bench, this was a somewhat unexpected stand for him to take. Instead of a legislature, he advocated a form of municipal government, for St John’s and elsewhere. In the event, one of the acts of 1824 made provision for such government. On his arrival in England in 1822, Forbes had conveyed to Bathurst his “hope of removal” from Newfoundland, and it was made known to him in August that, if he wished it, he could have the appointment of chief justice in the new supreme court in New South Wales. A year later he left to take up this post, which he filled with great distinction until July 1837. A knighthood was conferred upon him in April 1837. [Some of the legal cases over which Sir Francis Forbes presided when he was chief justice of Newfoundland can be found in Select cases from the records of the Supreme Court of Newfoundland . . . (St John’s and London, 1829); Decisions of the Supreme Court of Newfoundland: the reports . . . , ed. E. P. Morris et al. (St John’s), 1 (1817–28); and, in the State Library of New South Wales, Mitchell Library (Sydney, Australia), ms coll., A740, “Decisions of the Supreme Court of Judicature in cases connected with the trade and fisheries of Newfoundland during the time of Francis Forbes . . . ,” 28 July 1817–15 Dec. 1821. Others are located both at PANL, in GN 5/2/A/ 1, 1817–21, and occasionally in GN 2/1/A, and at PRO, CO 194. The main sources for Forbes’s Newfoundland career are PANL, GN 2/1/A, 28–33, and PRO, CO 194/60–69; material on Forbes can also be found in CO 38/20, CO 195/17, CO 323/40–51, 323/117–18, CO 325/4, and 325/7. The Mitchell Library has information relating to Forbes’s years in Newfoundland among his papers (ms coll., Al381), pp.26–42, 50; further material on Forbes, primarily concerning his Australian career, is in the State Library of New South Wales, Dixson Library (Sydney), ms coll., Add. 61, Add. 155, Add. 159; CSIL/3; MS 108; and MSQ 21. Patrick O’Flaherty, “FORBES, Sir FRANCIS,” in Dictionary of Canadian Biography, vol. 7, University of Toronto/Université Laval, 2003–, accessed April 22, 2019, http://www.biographi.ca/en/bio/forbes_francis_7E.html.